TVS Apache RTR FI 160cc bike is a high end fuel efficient machine with sporty looks and commendable features. Explore the review to get the features, technical specifications & price. Apache RTR FI 160 is definitely a head turner given its spellbinding features and design. The bike adopts fuel injection technology that gives greater fuel efficiency. The shrouds on both sides of the tank range out a solid and masculine look of the machine. The bike sports stylish stickers on the panels as well as on the shrouds to give it a racing macho look. The disc brake at the rear gives a lot more control and comfort to the rider. The new Apache 160 Fi has new scoops to draw air which help the engine to cool faster. Additionally, as seen in race bikes, it has a data logging facility which gives a 0-60 second lap time and also the maximum speed indicators. The TVS Apache FI 160 bike runs on a 159.7-cc fuel injected engine that reaches a maximum power of 15.7 bhp at 8500 rpm and a peak torque of 13.1 Nm at 6000 rpm. The top speed achievable is 120 kmph and can reach 60 kmph in just 4.8 seconds and 100 kmph in 17.7 seconds. The new power mills give the bike a fuel economy of 50-55 kmpl. The power release is gentle that offers smoother acceleration and shifting of gears. The fuel injection technology gives enormous speed levels. The style features of Apache RTR FI include bull-horn grab rails, sporty rear set foot pegs and the petal disc brakes. The digital speedometer helps one to feel the experience of racing. The rotor petal disc brake of Apache is excellent and helps to check the awesome acceleration with its razor-sharp braking power and faster dissipation of heat. But, oil-cooled engine would have been better for long rides as the oil coolers make the engine efficient. The LED lamps at the rear continue to be the same and the silencer is re-designed. The tachometer remains in the analogue form. To instill the racing intent, Apache RTR FI 160 provides a perfect seating position, well fixed clip-ons and perfectly positioned rear sets. Two seating modes are offered for the ride on road and the race on tracks. 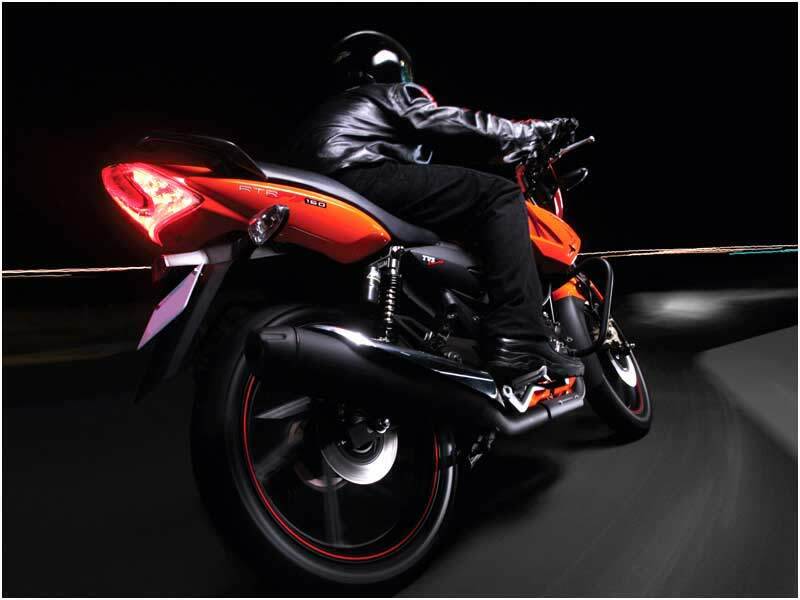 Apache's compact geometry and 17-inch front tyre work out quicker turn-ins at tight corners. The gas charged shocks respond quickly to surface inconsistencies and also dispels rebound damping energy completely eliminating the spring-up effect. The chassis and suspension development are commendable features, which are suitable for both track and road conditions. Front disc brake and the rear disc brake are very sharp. 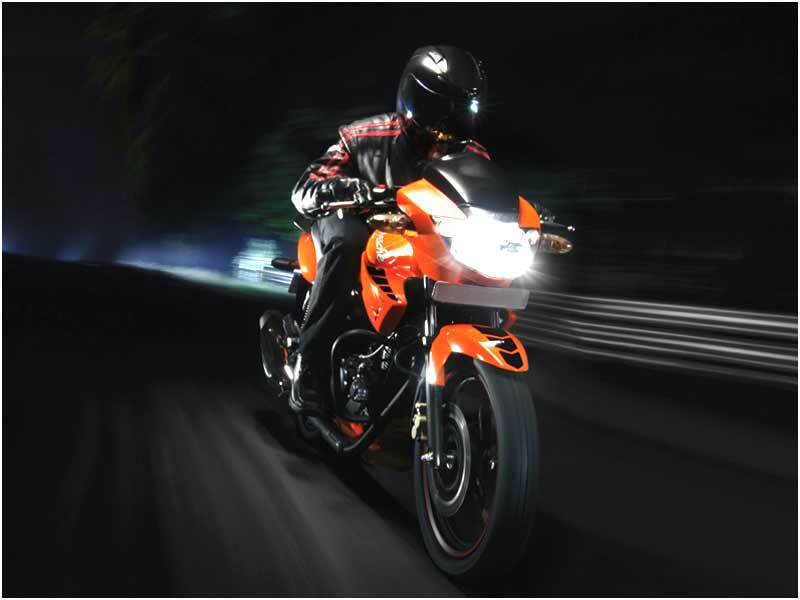 Striking looks and fuel efficiency is the identity of TVS Apache RTR FI 160cc. It gives an average mileage ranging at 50-55 kpml. Priced at Rs. 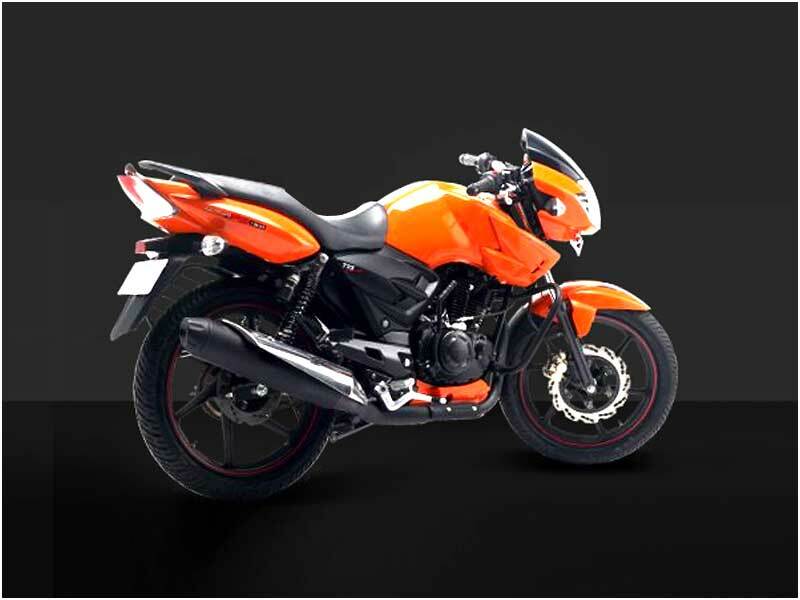 64,990/- (ex-showroom, Delhi), Apache RTR FI 160 is available in Orange, Matte Grey and Black.